On Sunday of this past week, I had the pleasure of having brunch with two really amazing women! Both of whom inspire me! We decided to have brunch at one of our favorite spots, PARADISO, and they NEVER disappoint. The service was A-1, the food was great, and the overall experience was great! I arrived first and walked-in to a host with a big smile and welcoming attitude. I let her know, we would be a party of 3 and what table we preferred. She reserved our table, and I went outside to soak up the sun. After my girl C-C arrived, we went and sat down and began to chat and wait for the third member of our party. As soon as we got comfortable the waitress was there asking us for our drink order, we ordered tea, she brought the tea and water. After the third member of our party arrived, we ordered our brunch and an appetizer to share. For our appetizer we shared the DUNGENSS CRAB & AVOCADO, it is the best thing on EARTH. The flavors just dance in your mouth, it’s truly superb. 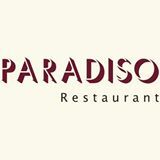 Anyone who has ever been to Paradiso has tried this dish. It is unique to their restaurant and its fresh and healthy. My main course was the DUNGENESS CRAB OMELET with egg whites, sub the potatoes for fruit. I enjoyed my entree, but it was not as flavorful as the appetizer. We sat, talked, laughed, sipped, bounced business ideas off of each other, gave relationship advice, and enjoyed our time with each other. I appreciate having genuine relationships with intelligent, ambitious, people who like to have fun with its time, and get stuff done when its time. I’m very grateful that the universe has brought these two into my life.